Home / Reviews / Get Fit With BarBella Box, For All The CrossFit Lovers! 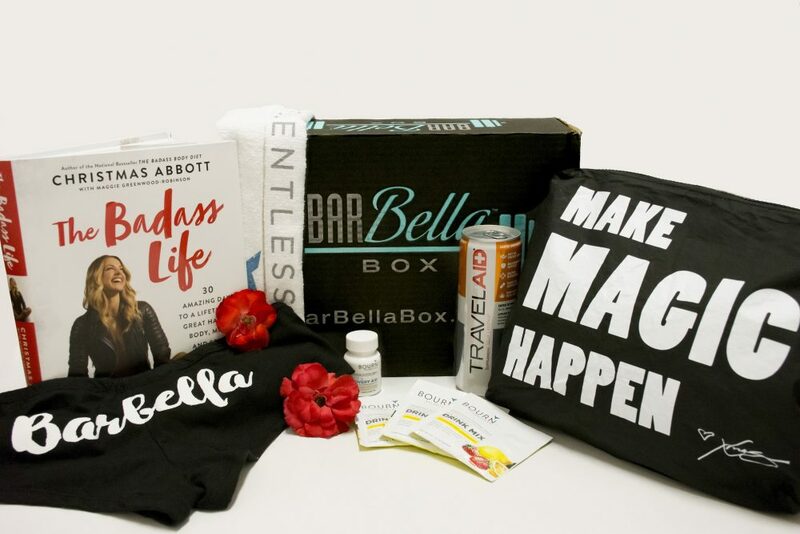 BarBella Box is premier fitness subscription box service, delivering premium CrossFit and weightlifting gear, apparel, snacks, supplements, accessories, and more each month exclusively for women. BarBella Box is a monthly package created out of necessity. CrossFit is in its growth stage, which means new companies and products are popping up daily. So why does that matter to you? Well, it would be impossible for you to really try and experience all these products on your own to see which brands you like best…and how do you know if you like (or don’t like) something without trying it? The BarBella Box team is currently scouring the Earth to find the best products for you. Since this box is made especially for women, the products are handpicked for what women want! You won’t find anything else like that in this market. This is a perfect way to try new products, snacks, and brands while also getting a mix of the ones you already love! BarBella Box is the perfect complement to your lifestyle!